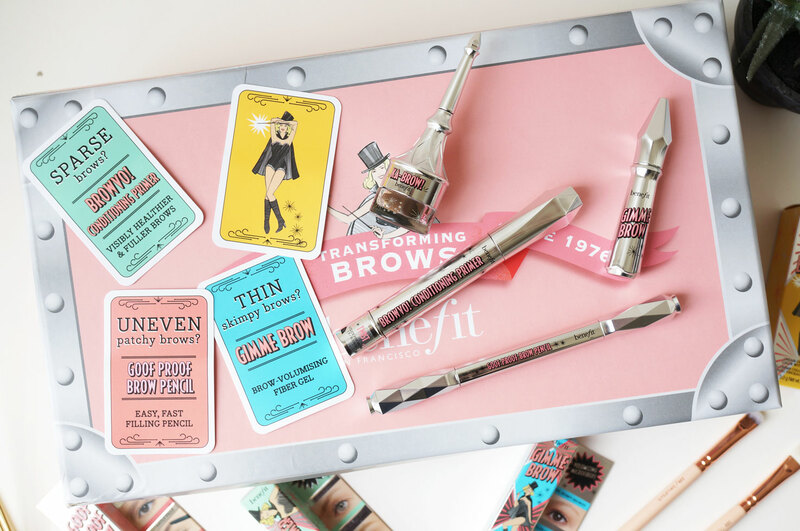 The New Benefit Brow Collection! Can we just take a moment to appreciate the packaging before we go any further? 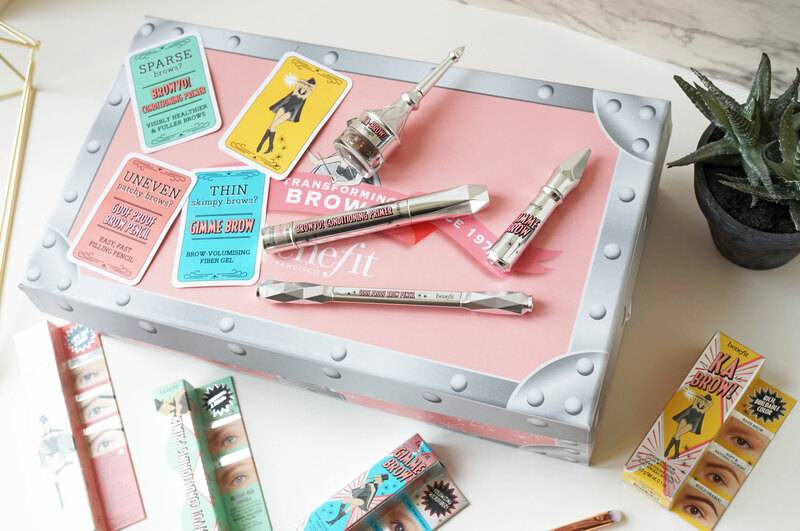 Benefit really have pulled out the stops with this collection – the high shine futuristic silver packaging is like nothing I’ve ever seen before, and I love it! 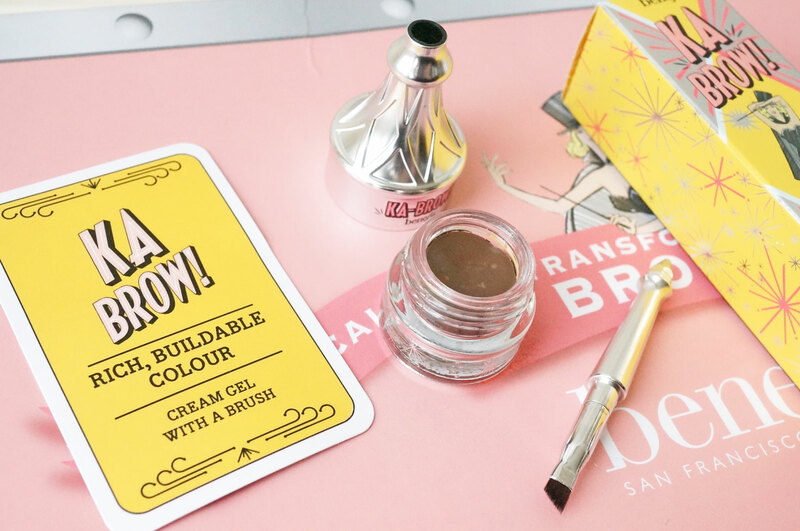 There are also clever additions to the products, such as Ka-BROW! below which has a brush incorporated into the product lid – so handy! Starting with the Ka-BROW! Eyebrow Cream-Gel Colour (£18.50) – This is just the dinkiest, niftiest little product I’ve ever seen! Ka-BROW! is basically a pot of cream gel eyebrow colour, with a handy brush hidden in the lid for easy application. The formula is waterproof for up to 24 hours, so you won’t need to worry about your statement brows smudging or disappearing throughout the day. The product itself is perfect for filling in the brows, sculpting and defining shape. Ka-BROW! is perfect for creating a more dramatic brow look, and the hard-angled brush magically converts to a full-size brush for precise control & effortless application. 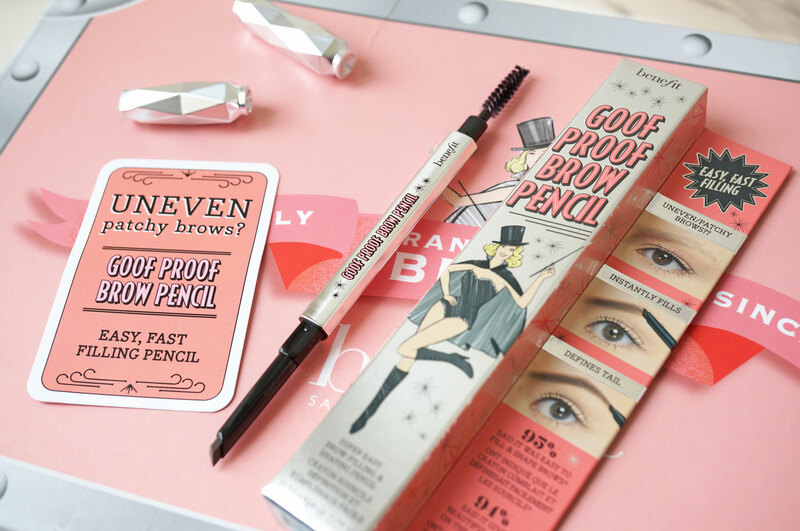 Next the Goof Proof Eyebrow Pencil (£18.50) – The Goof Proof Pencil is the perfect product for both the brow novice and expert alike, the point of this pencil is that it’s so easy to use, it’s pretty much fool proof. The pencil features a triangular shaped tip, so you can draw on precise hairs with the point, and fill in the brows with the flat side. It has a twist up mechanism too, so no sharpener required, and the other end of the pencil has a handy spoolie brush to groom and brush through brows for a polished finish. 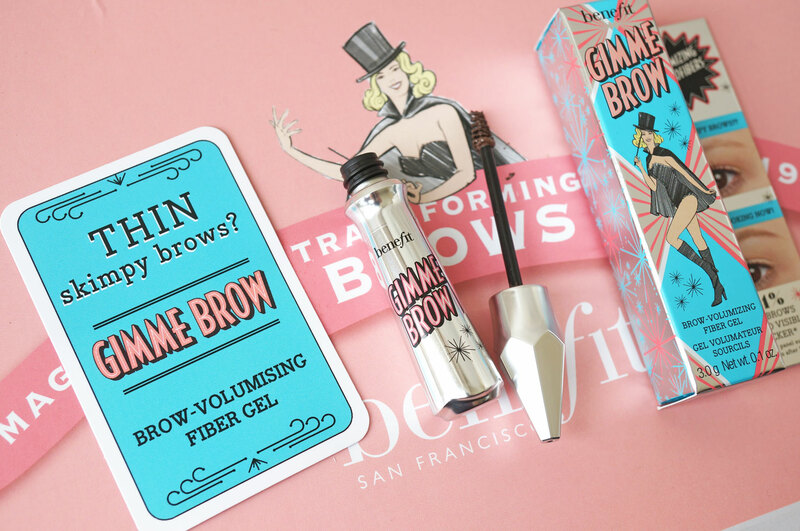 And the Gimme Brow Volumising Eyebrow Gel (£18.50) – This tinted gel contains tiny microfibers that adhere to skin & hair, perfect for creating natural-looking fullness and definition. This is very much like a mascara, but for your brows and with a tiny brush – I found that it did in fact thicken up the hairs so they looked fuller and slightly darker, but as my brows are quite fine and sparse, I didn’t actually fill in the gaps like the Ka-BROW! gel or the Goof Proof Pencil. This brow gel would be perfect for those looking for a more natural look, as it volumises and tints without appearing heavy. And lastly the BROWVO! Conditioning Eyebrow Primer (£21.50) – First we had primer for your face, then your eyelashes, and now your brows! With brows becoming the latest in thing in beauty, it definitely makes sense to prime and condition them to keep them in top top condition. This primer has a clear gel formula to suit everyone and anyone – and you can wear it alone to condition and smooth brows, or as a primer to enhance and extend the wear of other brow products. This conditioning formula of BROWVO! contains keratin & soy proteins to help brows appear thicker, healthier and fuller. 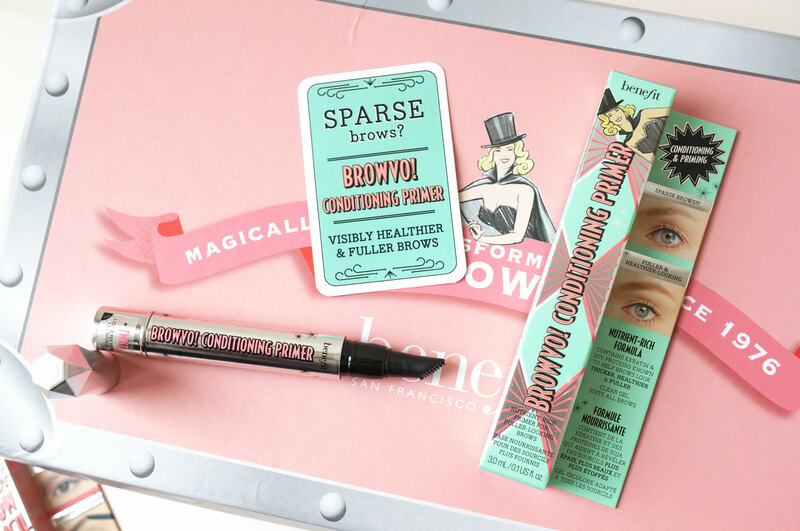 The full Benefit Brows Collection will be available from 24/06/16 at Benefit Cosmetics. Previous Post #SlimFastLunchClub Twitter Party!